“Imagine the immersive experience possibilities.” We interview Discogs about their long-awaiting official app for iOS and Android. “I started it as a hobby back in the year 2000,” Discogs founder Kevin Lewandowski explained in our recent podcast. 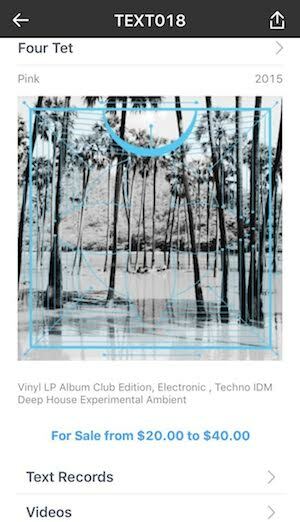 “I was really interested in drum and bass, and was active on some internet music mailing lists, asking questions about the history of certain labels and unknown releases. 15 years on and Kevin’s pet project has avalanched into a near-comprehensive music discography of six and a half million releases (and counting); the knowledge stacked block-by-block by a community of 250,000 contributors. That behemothic nerve centre now enables three million registered users to manage their own virtual collections and want lists; and crucially it’s the data source for a revolutionary online marketplace. These days, even record shops that don’t sell on the site take notes from its market history. Understandable then that clamours for an app have been shooting in from all directions. Third parties have filled the void, using the open API to launch unofficial apps but it was announced this September that an official one will launch in 2016. 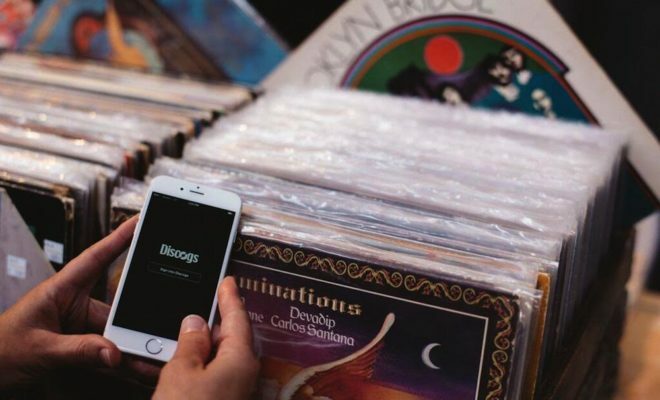 With the app beta testing right now, we caught up with Discogs’ Chief Operating Officer Chad Dahlstrom and Product Owner Kirsten Stoller to find out more. Congratulations on the official app, it’s great news! That said, people have been requesting one for three or four years now so what’s taken so long? Chad: What would happen is people would come up and say, “Hey I want an app.” We’d say “Okay, what does the app do?” And they’d say, “Everything that Discogs does.” But Apple won’t accept that app; they’ll tell you to make a responsive site. The app has to be fairly unique and use local features on the phone. Duplicating the website in an app wasn’t going to serve our users much better than simply using the responsive website. 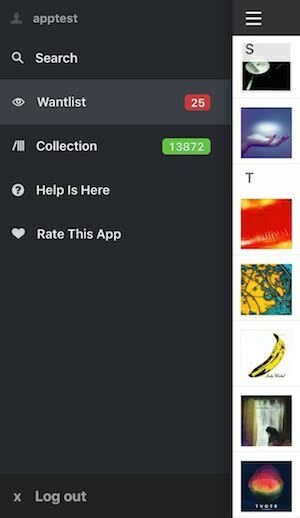 Part of why it took us so long to release an app was figuring out what would make it a unique Discogs experience vs. the mobile web. 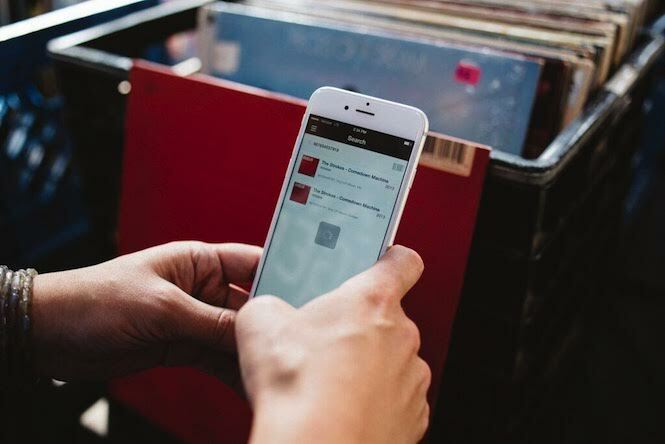 Native mobile apps can tap into cameras, geolocation, and push notifications that we can use to help create a better Discogs in-app experience. So there was a kind of discovery process going on after many requests of this generic request to make an app. It so happened that some other apps had come out and they were have some high rankings and great success. Milkcrate, in particular was notable, and that helped design the right starting point for the app. Give us a rundown of what to expect from the App and its key features. Kirsten: The app syncs with your Discogs account, so once you login you can fully track your Want List and Collection, and add and subtract from these. You can search the entire Discogs database of over 6,467,000 releases. 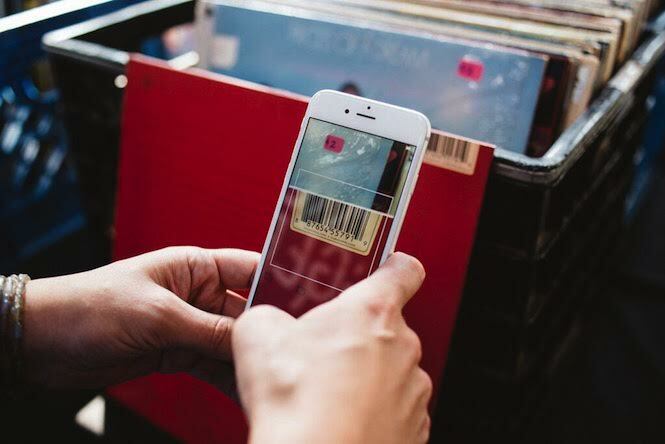 You can also use your phone’s camera to run a barcode scan, which is a great example of how the app can offer certain unique Discogs features that aren’t available through the main site. Just like the main site launch in 2000, the initial app we release will be focused on the discography. Community seems to be at the heart of everything Discogs does. Obviously the database itself is user-generated, there’s a strong forum on the site, and now you’re inviting users to beta test the iOS app. Perhaps you could elaborate on that and the goals of the company? Kirsten: The way we are approaching the Discogs app is the same way Discogs attempts to approach all development and design decisions: we are listening to and responding to what our community wants. We initially weren’t sure that an official app was needed. Even with the mobile site and all of the great Discogs apps out there, we were still constantly receiving feedback from our community that they wanted an official Discogs App. So we listened to the community. The initial Discogs app we release will be a base that will grow and evolve with what our community wants. We’ve been engaging with our community in our App Forum, reviewing every single feature request that is submitted via our App Survey, and personally responding to all emails that are sent in about the app. We want to be sure that our app is a reflection of what our community wants to see. You mentioned third party app MilkCrate earlier. Is it fair to say that the new app that’s beta testing right now is basically a rebranded version of Milkcrate? Chad: In essence, yes. It has some bug fixes but otherwise is very similar to Milkcrate. But before we release it publicly there will be some new features and even more bug fixes. We were working very closely with Milkcrate as they were growing, and they were seeing good traffic. So we decided that Milkcrate was the perfect starting point for an official app. Any time you build something internet-connected, it’s going to be a tricky process but they really gave us our foundation. And importantly, it was something that people were actually using. That seems wise, to connect and collaborate with those using your API. And indeed in keeping with your core values as you mentioned. Did you end up acquiring Milkcrate? Chad: No they don’t work for Discogs. We just had a partnership and we’ve worked with them very closely through this whole process. They’re actually part-time app developers. Interesting that Milkcrate has DIY beginnings, just like Discogs. What’s going to happen to Milkcrates and other third party apps like Discollector for Android? Is there space for them too? Kirsten: There are quite a few Discogs apps out there and they all kind of bring something different to the table. Now that we have an official app, we certainly hope that a lot of users choose to use it but I don’t think that will necessarily mean that these other apps out there won’t exist and that they won’t be successful. And, what’s more, over time we’re going to be adding more database end points to the API so that there will be additional functionality, meaning more opportunities for more apps. So the API will remain open for the foreseeable future? Chad: On the database side, yeah, that’s always going to be an open API. The marketplace is something that we’re looking at though – there are scenarios where it makes sense for it to be open and then there’s others where it doesn’t. We have to support the marketplace so it’s hard to put it in a third party developers hands. But the data will always be open. We don’t own that, the community own that. They built it. It’s almost like Discogs is two businesses if you think about it. You’ve got the database which is the open-source project which is where it started. And then the users asked for a marketplace so we added one on. They’re run differently and they have different goals. They just happen to work very well together. It seems like that split in Discogs has translated on to the app, in the sense that the database is represented but the marketplace isn’t. Chad: The marketplace is there but it’s not a full in app experience. When you search for a release, you can see the price range within the marketplace and view a list of sellers. From there, it’ll take you to the mobile marketplace to order an item. Kirsten: It’s a pretty seamless experience right now from the app to the mobile website. Having said that, we’re paying close attention to what people want first, and an in-app marketplace is certainly a high priority item for a lot of users testing it in beta. What other things have people been flagging up from the beta that they want to see added? Kirsten: We’ve been gathering feedback in the App forum, via an App survey, and via email and we’ve already received a lot of responses. Certainly the number one response is an integrated marketplace but a very common response is also improved sorting and filtering. That is, the ability to sort and filter by genre, artist, format, catalogue number and so on, which is currently missing on Milkcrate. Those improvements are already underway, so the public release should see improved Search, Wantlist, and Collection features. Other ideas that we’re considering are incorporating Discogs messaging, VinylHub integration and the ability to start a database submission from within the App. The app in its current form is very buyer-focused; it appears to neglect sellers altogether. Why is that? Chad: Sellers have a lot of tools, from listing items to inventory management and some of those just aren’t going to be suitable on a small screen. Part of what we’re doing during this beta is also analysing what part of sellers tools are going to make sense in the context of the app. A good example might be a seller with a large inventory wanting to use the app to mark an item as sold because they’ve responded to a message. But you probably wouldn’t be trying to import your inventory through your phone. So we’ll need to segment the sellers’ stuff as we find out what’s going to be useful in the context of a mobile device. Once you work that out, is it a case of having two apps? One for sellers one for buyers? Or is there one app to rule them all? Chad: This is kind of akin to what we were saying with respect to third party apps – there is space for several apps in Discogs because we have different kinds of users. Some people don’t buy and sell at all, they just dig the data. Maybe one of these parties makes a better interface just for exploring and contributing data. Kirsten: Over time we hope to make the Discogs App a great tool for everyone: buyers, sellers, and database contributors. It’s interesting to think about how contributors might be enabled to add data using the app. I imagine the possibilities with images are quite exciting. Chad: Definitely. The big piece is going to be images for them and it’s another thing we’re already talking about. It makes a lot of sense to be able to add images from a phone. Maybe that’ll be a stub of a submission so you can start the submission from your phone but finish the deep detail on your computer. I don’t think anyone wants to type out a full submission on their phone but we certainly want people to be able to capture those images. If you’re in a store and you’re looking at something and you see it’s got no image on Discogs, it’d be really cool to be able to add that cover while you’re there. We definitely want to enable that. It’s certainly a sought after feature at this point. Now that you have an official app, how do you imagine it changing the way people engage with records? Chad: We’re probably adding to the addiction! Discogs users are so engaged anyway, it may just make things a bit easier. Like if you want to see something in your Collection or Wantlist when offline. Kirsten: We’ve received a lot of positive feedback about the app’s simple interface. If you want to access key features on the go, it’s much easier to use the app than to get on the full mobile site with access to absolutely everything, which can be a little overwhelming and doesn’t load quite as fast. So we’re expecting increased engagement. I can imagine the app will encourage people to use their phones more when out digging, to check release information and prices. Is there something sad about that? How would you respond to fears of record shop culture being at threat from the app? Chad: A lot of stores like to use our site to price their albums so the app might actually help – they can more easily walk around to look something up and price it without having to do it all at the computer. We want to help the record and digging experience and we hope that the app helps the eco-system, not damages it. Kirsten: The online buying experience should never replace record stores. Personally, as a music lover I think that there is nothing better than going digging in your favourite record store. I hope that Discogs can be seen as a compliment to that culture rather than as competition. Just a few weeks ago, I found a record that I had been looking for, but it was slightly more than I was hoping to spend. I ended up using the app to quickly check what the release was selling for on Discogs, and happily bought the release from the vendor once I was assured that I wasn’t paying too much for it. Chad: One of the more interesting requests we’ve had is this idea of integrating VinylHub. For those that don’t know, VinylHub is basically our big database of record stores around the world. How it works already is that you can navigate to VinylHub, it’ll locate where you are and show you record stores that are nearby. That project is still kind of in beta itself but integrating with the app is something that is really exciting. And on the flip side of this whole thing, a VinylHub integration might encourage people to go in to stores because it’s easier to find them. In fact, we recently added record shows and events to VinyHub. We’re testing it internally but it’ll be released shortly. Just imagine the immersive experience possibilities! Let’s say, you happen to stop by Portland, what might happen is that you get a notification which says, “Hey there’s a record show on Saturday and here’s the location.” That kind of real time effect is intriguing as an option. Finally, when will the app receive its public release? Kirsten: We plan to release the Discogs App on iOS and Android in Q1 of 2016. We don’t have an exact public release date scheduled because our rollout will depend on when we feel confident that we have a solid build that has been thoroughly tested by our community beta testers. We are not only fixing existing bugs and UI quirks in the current app, but also developing new features. We want to be sure these new features are thoroughly tested. The Android app will have similar features and design, but it is being built from scratch and will thus require more QA and beta testing. We are actually still testing the Android app internally, but hope to release it in public beta soon. It’s likely that we will release the iOS App publicly in early Q1 2016, and release the Android app later in the quarter. Anyone interested in beta testing either iOS or Android can apply here. We have limited spots available for beta testing the iOS app (TestFlight has a 1,000 beta tester max) but we hope to open up the Android beta test to a larger audience.